CD reviews: "Montuno en Neptuno #960," "Descarga Santa," "El Son No Ha Muerto," "Saoco! Masters of Afro-Cuban Jazz," "Mas Mambo Mania: More Kings and Queens of Mambo," "Calle 54: Music from the Motion Picture" and "Radio Mundo"
These reviews first appeared in the October 16, 2001 edition of the American Reporter. Freedom and repression seem to be equally effective at bringing about the conditions needed for the creation of beautiful art. While American jazz is one of the great art forms of the last two centuries, so is the bountiful music created in Cuba over the past half-century  a span that has seen the fertile island dominated by brutal dictatorships of both the right and left. Even though Fidel Castro's repressive thugocracy has caused many of Cuba's best and brightest musicians to flee elsewhere  Arturo Sandoval, Paquito D'Rivera and Bebo Valdez only top the list  the amount and caliber of music being produced there continues to astound and inspire. What's more, like jazz, once the domain of American musicians but now a global art form, so are Cuba's native musical styles now produced around the globe. And so an overview of some of the best half-dozen or so recent Cuban recordings reveals that while many are still coming out of Cuban direct, others are made by Cuban expatriates or even non-Cubans who are smitten with the syncopated rhythms and hot melodic licks. Conjunto Casino plays much the same role in Cuban music that the current Basie or Ellington bands do for American jazz. It plays the old-style Cuban big band music from the '30s, '40s and '50s  and has been doing so since the music was still new. Like the Basie and Ellington bands, most of the seats in the Conjunto Casino are filled by men who for the most part weren't even born when the band was founded in '37. Not to worry, though  the lead singer's slot is held down by Jesus Navarro Jimenez, a septuagenarian whose classical touch is matched only by the richness of his voice. The nine-piece band backing him up also captures that classical sound of postwar Cuban big-band music  dance-ready charts with strong solos, tight ensemble work, and mesmerizing polyrhythmic figures from the three-man drum section. The arrangements give the eleven songs a postwar feel while still keeping them fresh and alive  this is no museum piece recording, but instead a bit of classic Cuban big band jazz. And make no mistake  this is a cosmopolitan jazz band, much more international than traditional Cuban. Julio Padron is the heir apparent to Arturo Sandoval as the top trumpeter in Cuba  he even held the same trumpet chair in Irakere that Sandoval held before fleeing Castro's dictatorship. Los Amigos de Santa Amalia is a loose-knit group of musicians who lived in the same Havana neighborhood (Santa Amalia) and began jamming together in the days before they began graduating to Cuba's top outfits. Still loving to play together, Padron and his fellow Amigos continue to gather when time permits  and if the results are always as tight as on their new recording, "Descarga Santa," the rest of us should pray that time permits more often. While just as much jazz as the music of the Conjunto, Los Amigos' brand of Cuban jazz is more akin to that of Weather Report or Return to Forever. Modern and accessible, the music of Los Amigos is what you might get if Spyro Gyra or Kenny G were top-rank jazzmen  for Padron and his bandmates are as capable of improvisational genius as any straight-ahead jazz musician. Padron, in particular, is worthy of your full listening attention. Featuring a big, fat tone on trumpet  not so different from what classical French trumpeter Maurice Andre achieves  Padron has the kind of bigger-than-life musical voice around which you can build an entire album. He holds your attention the way Louis Armstrong, Harry James and Miles Davis did, or Maynard Ferguson still can. The songs are, as mentioned, accessible and melodic, with lively arrangements  in fact, even though a serious jazz combo, Los Amigos in many ways has come closer to capturing the kind of mainstream Cuban dance pop than the better-known dance band Los Van Van has ever done. Rhino Records has made its living  its very mark on music  off its wonderfully packaged compilations. From jazz to rock 'n' roll, Rhino's boxed sets and compilations are always first-rate both musically and in the supporting materials. Three new releases detailing Cuban music maintain Rhino's reputation for only putting out the best collections. At the heart of nearly all Cuban music is the "son." From it have come salsa and cha-cha and countless other Cuban dance and jazz styles. 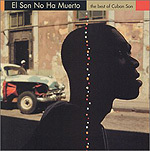 "El Son No Ha Muerto" is a 16-track collection of various sons recorded from the 1920s through the present. Included on here are songs from the well-known (Celia Cruz, Nico Saquito, Irakere) and the lesser-known (at least to casual stateside listeners). What every track has is that unique Cuban combination of rhythmic complexity wed to instantly accessible melodicism. It's like a narcotic, the son. The rhythms nestle in your head, the arrangements make that same head spin. And while the son is a form, it isn't necessarily a style  among the tracks are a Desi Arnaz-flavored big band arrangement from Benny More (laid down in 1960), a stripped-down folk performance by Saquito, and a salon song by Orquesta Aragon that calls up memories of French chanteuse Edith Piaf. All this combines to show that the son, like blues or tango or any other musical structure, lends itself to an incredible variety of expressions. On this release are tracks from giants like Willie Bobo, Mongo Santamaria, Cal Tjader and Tito Puente, along with lesser-knowns like Ray Barretto, Charlie Palmieri and Pucho. What this collection makes even more clear than the above son compilation is how international Cuban music has become  many of the artists featured here were born in the United States, not Cuba. Some, such as Henry "Pucho" Brown, aren't even of Latin descent. Which makes clear  or should, except for the most ardent racist  that musical authenticity is about spirit and dedication, not parentage. Rhino's latest throwback release would be "Mas Mambo Mania," a cocktail-drenched hour-plus of danceable, schmaltzable mambo music. Headlined by Machito and Celia Cruz, Eddie Palmieri and Mongo Santamaria, Perez Prado and Tito Puente, this is a great soundtrack for trying out your ballroom dancing lessons. The songs here almost beg for poodle skirts and slicked-back hair, pearl chokers and sports jackets. Oddly, it never sounds dated  it's definitely got a period feel to it, but like Sinatra or Basie, there's a certain universality that transcends the fifties-sixties ambience. 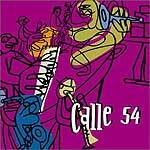 "Calle 54" is that rarity  a film about Latin jazz. Not merely Cuban, for Argentinean tango and Brazilian influences are also explored. Each track here is built around a featured performer who is bringing out one theme or influence from the Latin world onto jazz. Eliane Elias, for instance, is used a formidable example of what Brazilian musicians can do when combining their polyrhythmic traditions with the improvisation and structure of jazz. Bebo Valdes y Cachao do the same for Cuban music, as does Tito Puente and Jerry Gonzalez. For if Latin jazz takes in far more than Cuban music, it still has to be admitted that Cuba  for all its small geographic size and limited population  has exerted an enormous influence on Latin music as a whole. The format of the CD follows that of the movie; both open with Paquito D'Rivera's "Panamericana," an ode to the multiple influences the Latin tradition has had on jazz. It's an ambitious statement, but one that only touches on the possibilities. Rumba Club is both the present and future of Latin jazz. Based in the Bronx burrough of New York City, the band is composed of both Latino and gringo musicians. In fact, it's headquarters for jamming and planning is an Italian restaurant in the Bronx! But if far from Havana physically, the Rumba Club has the spirit needed to make that leap. Opening with a decidedly non-Cuban song, "This Flight Tonight" by Joni Mitchell, Rumba Club turns it into a spicy bit of salsa jazz The do the same turn with John Coltrane's "Straight Street," which they play anything but straight. And how do you make Cole Porter Latin? Listen to "Every Time We Say Goodbye" and at the least you'll know how Rumba Club does it. Not every song is a pop or jazz standard Latinized  there are original tunes, as well as a cover of Eddie Palmieri. But their complete lack of fear in tackling material of any origin and bringing it into the Latin fold is what makes Rumba Club as legitimate an expression of that tradition as any conjunto from Havana.